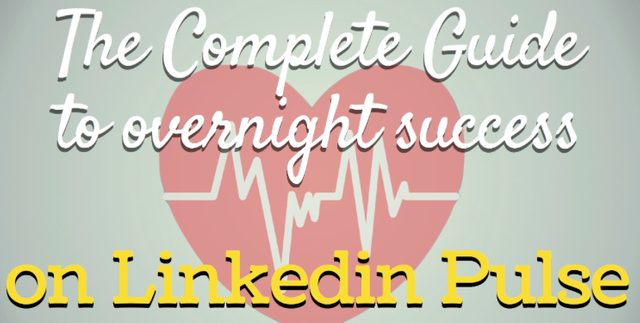 LinkedIn Pulse is the perfect place to showcase your expertise. Why? Because Pulse is the place where business meets pleasure. While many of your clients and prospects won't be reading the same online publications for relevant news as you do, many of them will at some point be browsing LinkedIn seeking insight on new trends and information that is important to them. It blurs the line between a social network and a business hub and therefore expands the reach of your content. If the content you post on LinkedIn begins to attract a lot of attention, it will get featured on the 'newsfeed' section, meaning that your posts will get noticed and read without anyone specifically searching for them. However, even if it doesn't make it to the newsfeed, your content will be searchable by keyword, meaning that your post will appear when someone searches for information on your chosen subject. This makes it the perfect ground for you to build reputation as an expert in your field. Even if you have prior experience with writing amazing blog posts, you’ll need to get used to LinkedIn’s atmosphere and community. Just like Reddit’s user base is typified by snarky humor, LinkedIn’s user base is typified by work-related posts with zero fluff. The typical LinkedIn user is typically 25-40 with a white collar job. There are a fair bit of entrepreneurs on LinkedIn as well. Overall, the content is aimed at the business professional. Try to give helpful advice. LinkedIn users like actionable advice that they can use that same day. Tips that are off the beaten path perform well. Omit needless words. Heed Strunk’s advice, and deliver a lot of content in as few words as possible. Many readers may be viewing your post on their phone during their lunch break, so keep it concise.